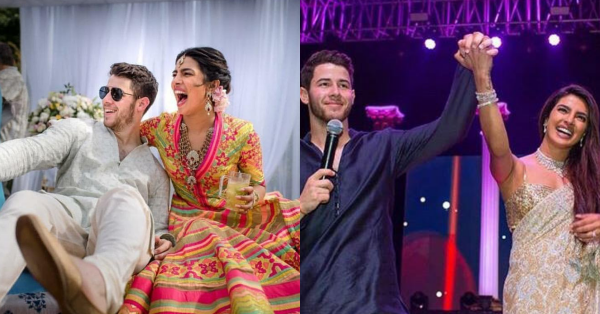 Abu Jani & Sandeep Khosla Reveal All The Inside Deets About Priyanka-Nick's Shaadi! Our excitement knew no bounds when the pictures from Priyanka and Nick's colourful mehendi and glamorous sangeet night were finally released. Not only did the couple look super cute and happy together, but the pictures were also just as extra as we expected them to be. Also, did you get a chance to see their sangeet-night video? If not, here have a look! While we're still waiting on their wedding pictures to blow our minds, we did manage to get our hands on all the decor details from the ace designers Abu Jani Sandeep Khosla who designed the couple's wedding. Here's what they said about all the functions they conceptualised and planned. Talking about Nickyanka's love story, they said "We see Priyanka and Nick as the ultimate Love Story. A Love that brings together different worlds and cultures and creates a new Universe. Designing their wedding has been a privilege. It’s been about melding tradition and modernity to create a unique celebration. One that rejoices in beauty and romance." 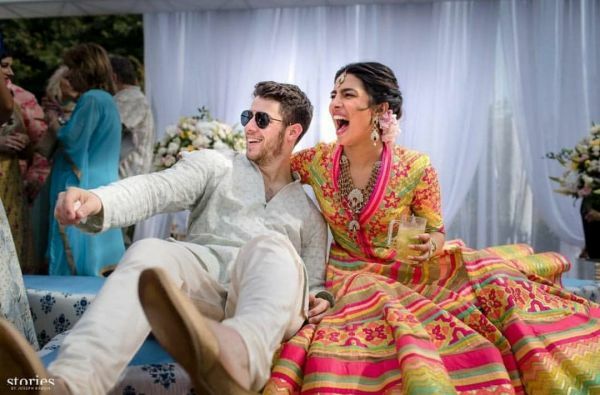 For the mehendi, which was fabulously folksy in spirit', in their words, Priyanka wore a multicoloured organdy outfit and jewellery, both designed by Abu Jani Sandeep Khosla while Nick wore an aqua bakhiya kurta by the designer duo. 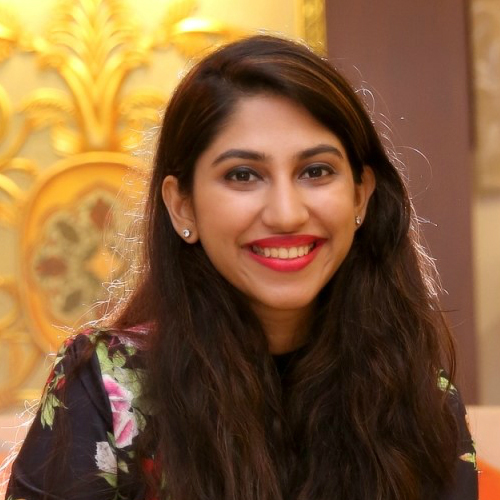 "The theme for the Mehndi event was an Ode to the host city, Jodhpur. A sea of blues yellow and white, poolside at Umaid Bhawan. There was a distinct joie de vivre and playfulness as America mingles with India, with a cricket and baseball match to boot." From whatever we see in the pictures, the ceremony did look as if someone had splashed a bunch of different colours on a canvas! We really couldn't help but swoon over the joyful pictures of the couple laughing their hearts out and making merry. For their sangeet, which happened on Day 2, the theme was all things royal. They raved about the ceremony and said "Millions of fairy lights flooded the grounds to create an enchanted wonderland. It was as if the sky and earth danced as one to celebrate this union. Mirror installations added to the magic." That does sound breathtaking and if pictures are proof, the night was truly magical, with a dance competition and all. 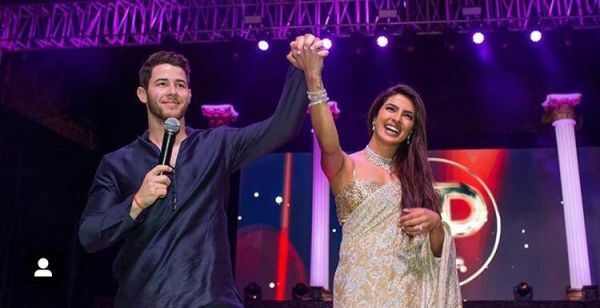 Priyanka looked stunning in her desi girl avatar in a fully hand embroidered sequins sari in gold and silver while Nick looked like a true royal in an open midnight blue sherwani with silk thread detailing. Even Joe Jonas and Sophie Turner were dressed in exquisite AJSK. While Priyanka wore Ralph Lauren for her White Wedding, for her Red Wedding on December 2, 2018, "The majesty of Red & Gold filled the air and infused the decor. The Umaid Bhawan Palace was ablaze, lit up in golden light. The Mandap, a traditional, four-pillared, covered structure was constructed from solid brass, it's design inspired by Art Deco. Decorated with flowers, this huge floral installation 5-foot-tall and 12 ft. wide of vermillion and pink peonies was quintessential ‘Priyanka and Nick'. An ode to their love which has transcended every border." We may not know what Nick and Priyanka wore on the wedding day since the pictures aren't out yet, but we're sure they looked dazzling. Cannot wait for the pictures now, can we?